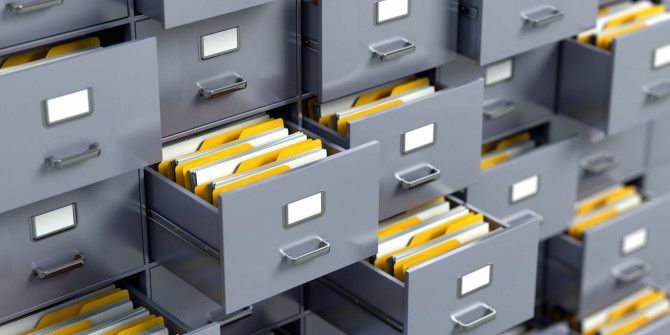 If you’re anything like me, you have files scattered across four or five different cloud accounts and can never remember where you’ve saved the one file you’re looking for. Rather than waste time searching each account individually, there are several ways 2 Chrome Extensions Are All You Need to Manage All Your Cloud Storage 2 Chrome Extensions Are All You Need to Manage All Your Cloud Storage Dropbox, Google Drive, OneDrive and other cloud storage services make it difficult for you to search all of your files from any such one box. Let's change that today. Read More you can search several platforms Are Your Files Getting Lost in the Cloud? These 4 Cloud Storage Managers Will Help Are Your Files Getting Lost in the Cloud? These 4 Cloud Storage Managers Will Help How can you keep track of your files when they're all in different places? With the availability of free cloud storage increasing all the time you'll probably need to answer this question soon. Read More at once. Meta is one recent option that brings together some of the most popular cloud services and has a Mac desktop app to boot. When you sign up for early access to Meta, you’ll be able to connect your Google Drive, Dropbox, Trello, Slack, Gmail, and Evernote accounts. If you opt for a free account, you’ll only be able to connect two of these platforms. Upgrading to a pro account for $10 a month gets you unlimited cloud integrations. Enterprise accounts which cost $20 a month have the added features of analytics and team dashboards. Before you do connect your accounts, however, you should know that you won’t be able to manually disconnect them yourself during the beta period. Instead, you’ll have to reach out to the support team. One interesting, if not somewhat buggy, feature that Meta offers users is the automatic tagging of your content. When you first connect your accounts to Meta, it will use an algorithm to automatically assign tags to your files. The Meta FAQ acknowledges that this is by no means a perfect system, and encourage users to reach out to let them know about incorrect tags so they can improve the algorithm. The tagging process took a few hours for well over 5,000 files, and as was to be expected, some of the tags were accurate, and others just appeared to be random words pulled from the text of files. Tagging of images, on the other hand, appears to be based on folder names. You can go back in and edit, remove, and add tags after the automated tagging process is complete. Once your files are indexed and tagged, you can perform searches through the web app, but Mac users have the added advantage of using a desktop app.The interface of the desktop app is identical to the web interface, and the app can be launched at any time using the keyboard shortcut Shift-Command-Space. According to the FAQ, a Windows version is “coming soon,” but there’s no indication of when that might be. Another feature that has yet to appear but will be a very welcome addition is the ability to search your files offline. The search function itself — the most important part of the app — is impressive. You can filter your searches by file type, age, and by account. Clicking on a search result will open it up in a new window in the platform where it exists, while a handy ‘Show in folder’ button will take you to the folder rather than the file itself. How do you keep your cloud accounts organized? Do you have other suggestions on how to search your many cloud accounts? Let us know in the comments. Explore more about: Cloud Storage, Web Search.